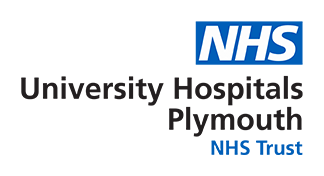 The Plymouth Oesophago-Gastric Centre has a large team of specialists dedicated to providing first class care to patients with diseases of the oesophagus and stomach. The surgeons work with both the Cardiothoracic directorate (which has a further seven cardiothoracic surgeons) and the Gastroenterology Directorate (which has a further four upper GI surgeons specialising in pancreatic and liver disease). The gastroenterologists work as part of the Gastroenterology Directorate which has two more gastroenterologists specialising in liver disease. The oncologists work with the Oncology and Blood Services Directorate which has a further six clinical and one medical oncologists. The radiologists work with the Imaging Directorate which has a further 22 consultant radiologists. The pathologists work with the Pathology Directorate which has a further eight consultant pathologists. Both Dr Nugent and Dr Hooper work with the St Luke's Hospital Palliative Care Team, along with an associate specialist and five specialist nurses. The Clinical Nurse Specialists belong to a team of 24 cancer CNS's who provide care for all cancer patients receiving treatment at Plymouth Hospitals NHS Trust.